Of all the issues a person faces during a divorce, the most important and sometimes overlooked is how the children will be affected by the process. Children often need extra attention before and during a divorce. With these basic guidelines, your children can successfully survive your divorce. You will not engage in conflict in front of or within earshot of your children. You will not disparage your co-parent in the presence of or within earshot of your children. You will always treat your co-parent with respect (even if you think it’s not warranted). You will not attempt to turn your children against your co-parent. You will listen and provide physical and emotional support to your children. Speak to your children with your co-parent; they need to hear the information from both of you — together. Generalize rather than blame – share only the facts. 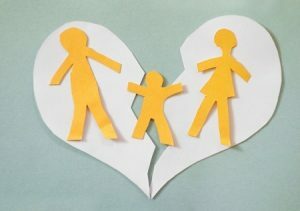 Let your children know that divorce is the adults’ choice and it was a decision that both parents arrived at together. Let your children know your plans — communicate which parent (if either) is moving out, what the visitation schedule will be, how their lives will be affected, etc. Keep your children updated – there is no need to share divorce documents or details with your children but let them know if/when you will be going to mediation and when the divorce will be finalized. Keep talking – even when the divorce is final, your children will still need information and attention. Be cautious, do not overshare. Your children just want to know that they are loved and will continue to be supported. Consider providing counseling for your children. Children often benefit by having someone other than a family member to speak to about their situation. More often than not this is a preventative step and establishes a relationship for the child with a trusted adult should an issue arise in the future. The freedom to just be kids –time and space to play, jump, make mistakes, etc. Your children must be free to meet the challenges of childhood and gain a sense of control over their future. Permission to grieve and express their emotions. Rules and boundaries – let your children know what is expected of them. Be consistent and predictable. Both parents – children need both parents. You might have to structure visitation for their safety, but don’t make them choose between parents. A Collaborative Coach can assist parents before, during and after the divorce to accomplish the above points and help their children survive and thrive. Katelyn Baxter-Musser, LCSW received her MSW from Arizona State University and her BA in psychology with a Minor in criminal justice from American University in Washington D.C. Katelyn has been in private practice in Maine since 2015 and prior to that lived in Arizona where she maintained her private practice and was a supervisor for a local mental health agency. 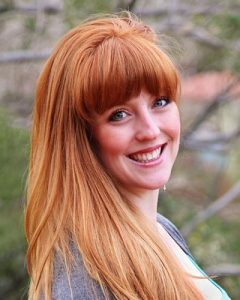 Katelyn is a Certified Eye Movement Desensitization Reprocessing Therapist and has extensive training in working with individuals, couples, and families who have experienced trauma. Katelyn was trained in Collaborative Law in 2017 and practices both collaborative law coaching and mediation. Katelyn takes a solution-focused approach to help clients identify their needs, find their voice, and develop communication skills to use long after divorce has ended. Most of the time when I am involved in a collaborative divorce case, the clients and attorneys see my work solely as analyzing and dividing assets. In fact, all of the parties in the divorce — the clients, the attorneys, the coach and the financial neutral — are stewards of the relationship, and our actions may have a direct result on that relationship. As we navigate the various legal, financial and, most importantly, emotional details of the divorce, I think it is imperative to remember that the divorcing couple has committed to giving their very best as they end their marriage. Often, as financial concerns arise — almost always based in a fear of the unsettled future the parties face — the money issue becomes emotionally charged. This is understandable of course, and the emotions need to be addressed so that the facts of the asset division or support issues can be discussed. Keeping the relationship in the forefront even as the parties are working to end the marriage allows the process to move forward as quickly and easily as possible. I encourage the divorcing couple to think about “teasing apart” the relationship; actively working to separate the assets, things and emotions that have naturally, over time, become intertwined. Central to the collaborative process is the ability to see the other side’s point of view, to have empathy for the reality they envision, and to manage the communication in a way that demonstrates that empathy. If we can do that and keep the focus on how the communication occurs, we will have successful outcomes in the collaborative process. John, principal and cofounder of Anton LeMieux Financial Group, has been guiding clients through the complex world of financial planning and investing since 1993. He left Merrill Lynch in 2009 with his partner Eric Anton to start the group with the specific vision that their clients would be better served in a more holistic practice focused directly on client needs and advocacy. John’s experiences as an entrepreneur, a financial planner, and investment advisor, as well as a college basketball coach, have combined to give him insight into the needs of the individuals, families, family-owned businesses, and nonprofit organizations that he serves. 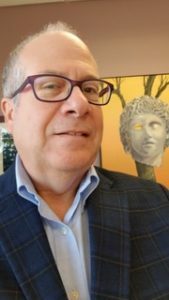 He is a CERTIFIED FINANCIAL PLANNERTM professional, a Certified Investment Management AnalystTM and a Certified Divorce Financial AnalystTM; but it is his willingness to address the emotional side of his clients’ financial lives that distinguishes him. John believes that to assist clients with complex financial decision making he must address the multifaceted realities of life that underscores the financial facts. In the process of working to address these realities, alongside the specific goals of each client, he endeavors to add value and build a vision for their personal financial needs. 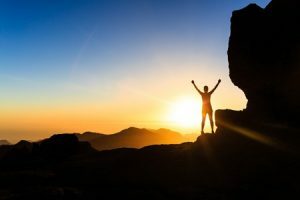 It is his view that each client has their own needs and wants in life and that a unique financial plan is needed to adequately address each client’s situation. John is a founding member of the Maine Collaborative Law Alliance and as a financial neutral has played a lead role in the development of collaborative divorce in Maine. Improves communications: In a Collaborative Divorce, the parties have the opportunity to practice communications in a safe environment. Usually, the trained Collaborative attorneys can keep a conversation under control and prevent the kind of explosive anger that can occur outside the Collaborative setting. As meetings progress, the parties learn how to communicate and listen better. By the end, the parties are often communicating more effectively than they have in years. Sets a good example for children: Children of all ages have some idea of what their parents are going through. The young sense the tension in the environment, and the older children may know the details of particular issues in dispute. Many have heard horror stories from friends’ parents’ divorces. Younger children of Collaborative Divorce will understand that their parents had a “friendly” divorce, while the older children may know that their parents used a different forum to resolve difficult issues with open and respectful dialogue rather than fighting and court battles. The lessons of collaboration help children of all ages to resolve conflicts in their own lives. Creative solutions unavailable through traditional litigation: In the context of the Collaborative meetings, parties and their attorneys have the opportunity to learn about each other’s needs and wants directly. This face-to-face interaction invites exploration that can get behind a party’s position. For example, a spouse’s insistence that they “get the house” can lead to a discussion about the reason the spouse has taken that position. If it’s because the house is in a nice neighborhood near good schools, an alternative might be suggested, such as finding a smaller home in an equally nice neighborhood near another good school. Understanding motives can be a great way to find solutions. Communications unfiltered by attorneys: At a Collaborative meeting, hearing something directly from the horse’s mouth is much more convincing than hearing it from the horse’s lawyer. In addition, direct communication reduces bluffing, replacing negotiating positions and use of scare tactics with honest and productive brainstorming and problem solving. Master of your destiny: Working collaboratively with your spouse, you control the outcome. In a Collaborative Divorce, the parties are more likely to achieve a solution that is tailored to the parties’ unique circumstances. By playing a more active role in arriving at solutions, the parties have ownership of the outcome. The more ownership and control the parties have over the final settlement agreement, the less likely it is that they will be back to court for violation, contempt, and modification. No winning or losing: If you’re the type of person who needs to win, Collaborative Divorce may not be for you. Rarely will the parties to a Collaborative Divorce come away feeling as if they’ve won or lost. Participants are more likely to leave the process feeling relieved that they were able to reach a fair agreement that will leave each of them secure in their future. If you don’t have the need to win, and you don’t mind if your spouse doesn’t lose, then Collaborative Divorce may be for you. Yelling, screaming, agonizing, ugly…… just some of the words that come to mind when people think about moving forward with a divorce. But what if I told you instead that the words to describe divorce could be: mutual, working together, respect? You might think I am crazy but divorce described this way is possible with Collaborative Divorce. I know as a therapist that divorce is going to be emotionally challenging, but what I also know, as a coach, is that divorce doesn’t have to be hurtful. Collaborative Divorce offers clients the ability to come together in a mutually respectful way and find solutions that work for their family. One of the best things about Collaborative Divorce is that it is not just a standard cookie cutter approach; it is truly two people working together — not to give each other one more jab, but rather to reach a customized outcome that mutually supports them both. Acknowledging difficult feelings and discovering what is important – not just to you but also to your soon-to-be ex-spouse — can be hard but also healing. Collaborative Divorce offers the space to leave your current relationship while maintaining dignity and feeling empowered. It offers couples the space to come to mutual agreements regarding all aspects of their ending marriage. I refer people to the Collaborative Approach because it works. Going to court works too but when was the last time you met a person who left court feeling good about it? Will Collaborative Divorce make you friends with your soon-to-be ex? Maybe not. Will it leave you feeling worn out and exhausted and angry? No. Is it my preferred method for clients seeking divorce? Most definitely yes. 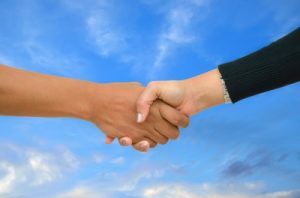 With almost twenty-five years of advising clients behind me, and as a veteran of dozens of divorce consulting engagements, I can say unequivocally that a Collaborative Divorce is a better divorce. I am not saying that a Collaborative Divorce is always better in terms of financial outcome for either or both spouses. I am not saying that Collaborative Divorce is always faster or easier. I am not saying that it is always cheaper. What I am saying is that Collaborative Divorce offers the best potential to leave both parties, their children, their in-laws, and anyone else who cares about them in a better place. Ending a marriage is at best a delicate thing and obviously can be a horrific experience if not handled well. Collaborative Divorce allows two people who were once in love to tease apart their marriage, taking time to reflect on the experience of their soon-to-be ex-spouse and make decisions that will, at worst, be neutral to the ex-spouse and may, on occasion, actually meet some of the ex-spouse’s most meaningful goals . The process is designed to ensure that each spouse comes out of the divorce as emotionally and financially fit as possible. 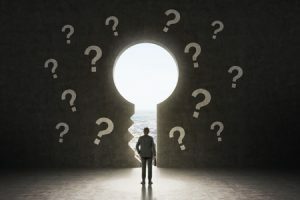 Addressing concerns about dividing retirement plans and other financial assets, or determining an appropriate amount for spousal support, can be difficult. The full disclosure required by the Collaborative process and a financial neutral’s analysis, however, may help the couple reach consensus on how best to proceed so that each party feels heard and has confidence that their future is as secure as it can be given their circumstances. Being able to support two people as they do the work of ending their marriage, in a manner that encourages respect of each other and what’s important to each side feels good. As a financial professional, I feel like I am playing a part in helping both sides move past the marriage and through the work of ending the marriage. When the Collaborative Divorce process is complete, all involved can rest assured that they did their very best to create a win-win outcome that both sides can support and embrace. Divorce is never easy, and can often feel overwhelming and forbidding. People who have gone through a litigated divorce have described it as a harrowing experience. They spend large amounts of money, time, and energy on the court process and often are unsatisfied with the outcome. Fortunately, there is an alternative to litigated divorce that makes the experience of ending a marriage much less painful: Collaborative Divorce. Most people who use the collaborative process feel that they have reached a fair and equitable resolution at the end. Moreover, parties often find this process to be more empowering than traditional divorce. Collaborative Divorce begins with each spouse and their lawyer agreeing, via a formal Participation Agreement, that they will resolve all issues in a structured, out-of-court procedure, instead of through court litigation. The Collaborative Divorce process strives to ensure that each person in the relationship is “heard” and that all of their concerns are addressed in an open and thoughtful manner. All financial matters, including information regarding income, property, accounts, retirement and all other assets are exchanged transparently. A neutral financial expert can be appointed to ensure that all finances are fully disclosed and equitably distributed. Collaborative Divorce allows for maintaining confidentiality in the couple’s private life. Instead of depositions, open court hearings, trials and motions, all negotiations are held in private meetings, until a settlement has been reached. Collaborative Divorce has the goal of helping couples maintain an amicable relationship for better co-parenting after the divorce. Parties who have gone through the Collaborative Divorce process express less bitterness and emotional pain than those who have gone through a traditional divorce. If you are contemplating or facing divorce, consider Collaborative Divorce as a less stressful, more private and respectful means of ending your marriage. 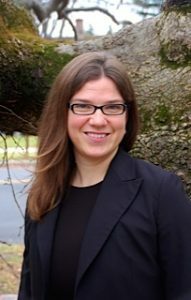 Hesper Schleiderer-Hardy, Esq., is an attorney with Childs, Rundlett, Fifield & Altshuler, LLC. She has devoted her career to representing clients in family matters, estate planning, and probate litigation. Hesper has been serving Maine families as a Guardian ad Litem since 2007, working with children of all ages. 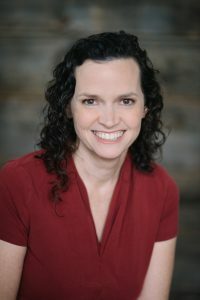 She received training as a Collaborative Divorce Attorney in 2008 and is a founding member and Board Member of the Maine Collaborative Law Alliance. She is also a member of the Family Law Section of the Maine State Bar Association, a member of the Cumberland County Bar Association and the York County Bar Association, and a Board Member of Maine Odyssey of the Mind. A Maine native, Hesper received her JD from Northeastern University School of Law and her undergraduate degree from Bowdoin College. 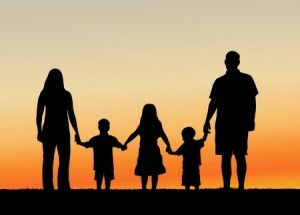 It is inevitable as part of divorce with children that the once unified family household will now be separated in two. Each party to a divorce has their own feelings, opinions, and standards of living that will directly impact the children and, at times, impact the other parent. To successfully co-parent you are going to have to find ways to navigate and negotiate these differences without alienating your children. 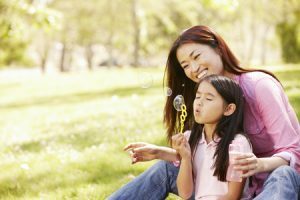 Failing to address your child(ren)’s concerns about their future after parents separate. Try to see a shifting world through the eyes of your children, and make decisions that are focused around their needs. Putting down the other parent in front the child(ren) or within ear shot of the child(ren). The sting of hearing the two people they love the most in the world saying vicious things about the other doesn’t quickly go away. Also remember that it is more than words that the children pick up on; it is tone and body language that helps them interpret how you feel about your co-parent. Involving the child(ren) in disputes between parents whether directly or indirectly. This likely will lead to a sense that they are responsible for the dispute; or at the very least that they are an ongoing “stress” contributing to the hostilities. Questioning child(ren) in an effort to gather information about the other parent. This type of interrogation fills a child with angst, and ultimately will lead them to feel guilty about getting a parent in trouble. Failing to properly negotiate and mediate issues regarding the child(ren)’s care, safety, education, religion, holidays, vacations, etc. As stated before, remaining in conflict is so much more damaging than making reasonable decisions about these issues. Rejecting your child(ren)’s affection for the other parent or failing to support the other parent’s role in the child(ren)’s lives. The biggest gift you can give your child is to encourage a positive and healthy relationship with your co-parenting partner. Giving them permission to have a wonderful time with the other parent promotes emotional health for your child(ren). Failing to support and maintain your child(ren)’s relationships with friends, family, school, community and activities. Seeing the effects of divorce on your child(ren) through their eyes, understanding the enormous impact that you and your co-parenting partner are having on their lives, should help you understand the need to support and encourage your child(ren)’s long-term healthy relationships. Have a conversation with your (child)ren, together with the other parent when appropriate, that creates a united and positive atmosphere about the upcoming changes and addresses your child(ren)’s questions. Have a defined plan for holidays, activities, appointments and other scheduling issues. Be flexible and open to occasional schedule changes when necessary and accommodate your co-parent’s request. Create a structure that gives your child(ren) have high quality time with each of you; not necessarily exactly equal time. Have private weekly phone conversations with your co-parent to discuss the needs, schedules, and well-being of your child(ren), and be cordial and open to the other parent’s ideas and concerns. Use a co-parenting website such as Our Family Wizard, Google calendar, and email or text to communicate scheduling or share information when appropriate. Accept that at some point your co-parenting partner will move on with a new partner and that person may eventually become involved in your child(ren)’s lives. Giving your child(ren) permission to establish healthy relationships with that person will alleviate a sense of stress or guilt your child would otherwise feel. Actively involve your co-parent in important events in your child(ren)’s lives whenever possible. Send pictures and communicate special moments so that you can share pride in your child(ren). Develop the mindset that being the best parent possible for you child(ren) includes encouraging a healthy positive relationship with your co-parenting partner. Discussing how to co-parent successfully is often a big part of the Collaborative Divorce process, and should be part of any divorce process. If you are considering divorce and have children, consider Collaborative Divorce as an alternative to traditional divorce, as a way to develop and maintain a healthy co-parenting relationship. 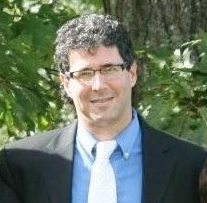 Jeffrey S. Levy, LCSW, GAL, received his MSW from University of New England and BS from the University of Maine. Jeff has been operating his private therapy practice since 2001, and he has been serving the Maine courts as a Guardian ad Litem since 2006. Jeff is an adoption social worker, serving as the Director of the Maine branch for China Adoption With Love. He is also an instructor for the Kid’s First Program, providing separating parents guidance in working collaboratively for their children’s best interest. Additionally, he has developed a workshop instructing therapists on how to work with Highly Conflicted Separated Families and has taught it throughout Maine. 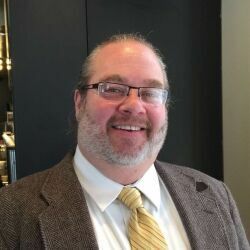 Jeff received training as a Collaborative Divorce Coach in 2014 and is a founding member and Board Member of the Maine Collaborative Law Alliance. In October, I attended the International Academy of Collaborative Professionals (IACP) 17th Annual Networking and Educational Forum. One of the sessions I attended was Inspiration and Ideas for Creating and Sustaining a Remarkable Collaborative Practice presented by Ron Ousky (a collaborative law pioneer) and his paralegal Megan Yates. What do clients need to know to embrace Collaborative Law? How can clients let go of their positions to reach their highest vision? How can clients see Collaborative Law as an opportunity, rather than a risk? Begin with the end in mind. Think about where you want to finish from the beginning. Visualize what your future looks like after divorce. Always focus on the big picture. Again, keep your goals in mind. Try not to get side-tracked by the small issues. Once you know the big picture, you can deal with the details of how to get there. Be candid about what you can/can’t bring to the experience. What can you and your spouse each contribute to the process to help it succeed? Sometimes we fail because we push ourselves into things we are not ready for. If you’re not ready, that’s okay. Don’t make it about fighting. Arguments don’t change people’s minds. For Collaborative Divorce to be effective, you need to have open, non-defensive discussions with all parties involved, including your spouse and their attorney. Trust your instincts and experience. You know yourself and you know your spouse and what will/won’t work for the two of you. Being realistic about that with your attorney will save time and money and reduce stress. Be clear. Communicate your knowledge and desires to your attorney, so they can help you make decisions that are best for you and your family. Be committed to the process. 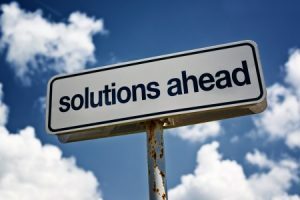 One of the tenets of Collaborative Law is that if the process is not working there is a requirement of withdrawal by the collaborative attorneys before starting a divorce in court. Your commitment and confidence in your ability to resolve your own case will maximize the possibility of Collaborative Law working for you. Collaborative Law can help families reach amazing outcomes. When deciding whether Collaborative Divorce is right for you, keep the above points in mind. That way you’ll be prepared to bring your best self to the process. Jane Clayton is a partner at Vafiades, Brountas & Kominsky, LLP. Jane focuses her practice on all aspects of Family Law including Collaborative Law. 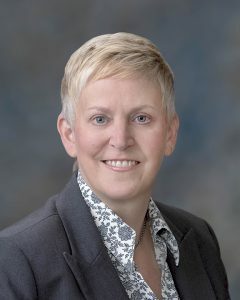 Admitted to practice in 1988 both in Maine and before the U.S. District Court, District of Maine, Jane is a member of the Maine State and Penobscot Bar Associations. She is currently a Board Member of Maine Collaborative Law Alliance. She is also a member of the Family Law Section of the Maine State Bar Association. Jane was previously the Chair of the Fee Arbitration Commission, Chair of Fee Arbitration Panel IV, Chair of the Penobscot County Law Library Committee, a member of the State Court Library Committee, a Board Member of Equality Maine Foundation, a Board Member of Bangor Area Visiting Nurses/Hospice of Eastern Maine, a Board Member of Pine Tree Legal Assistance and a Board Member of Maine Association of Mediators. Jane was born in Harrisburg, Pennsylvania in 1961, and grew up in the suburbs of Philadelphia. Jane earned a B.A. (with high distinction) in Political Science from the University of Maine in 1983. She received her J.D. from the Villanova University School of Law in 1986. She moved to Maine in 1986 and currently lives in Veazie with her wife, dog and cat. In her time away from the office she enjoys creating stained glass panels, photography, movies, reading, and spending time with family and friends. The parties begin with an AGREEMENT. In my opinion, the most important advantage of Collaborative Divorce is that the parties start from a place of agreement, not conflict. 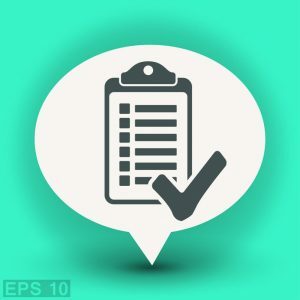 They do that by signing a participation agreement http://www.govanlaw.com/wp-content/uploads/2015/08/GL_ParticipationAgreement.pdf) committing themselves to proceed Collaboratively. To learn more about Collaborative Divorce and how it can work for you, please look through our Collaborative Attorneys and contact one in your area . Matthew Govan is a family law practitioner at Govan Law Office, PA, in Portland. 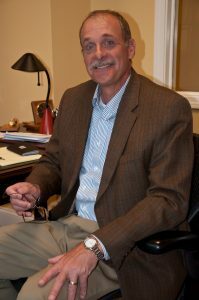 He is the Chair of the Board and a founding member of the Maine Collaborative Law Alliance. To learn more about beginning a Collaborative Divorce or if you are a professional interested in becoming a MCLA member, please see MCLA’s locate a professional or become a member pages.